On October 8, 2004, then- Lt Col Ronald Han assumed command of the 154th Maintenance Group. 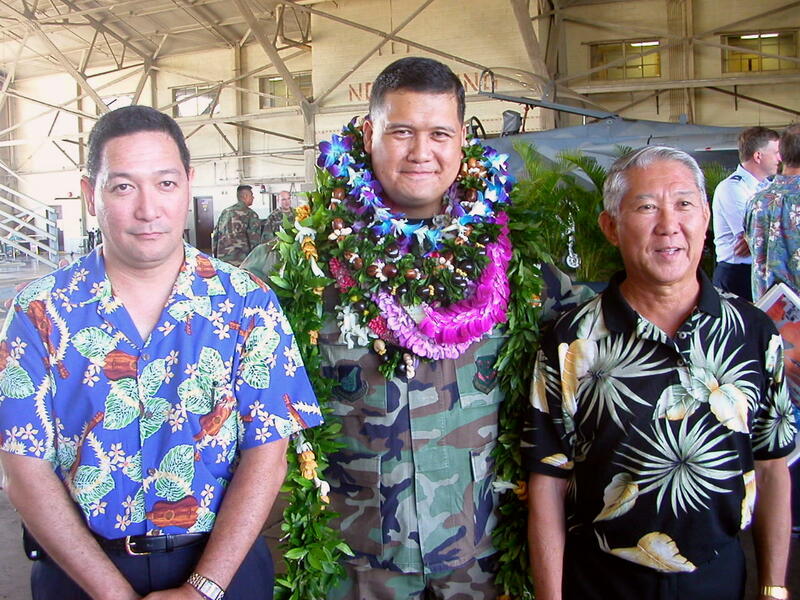 This photograph show Ron with two retired members of the 154th Logistics Readiness Squadron – Russell Amina and Harrison Iga. All three served together earlier in the squadron. Russell continues his Federal career with the Veterans Administration. He worked for the US Corps of Engineers previously. Ron continues as the Director of the State Office of Veterans Affairs (OVS).